Leave them alone, they will do better if let to get on with it. The plants are messy, have got leggy living in pots and suffered from neglect during the build. I am having to fight my usual urge to cut them up, divide them, generally interfere. 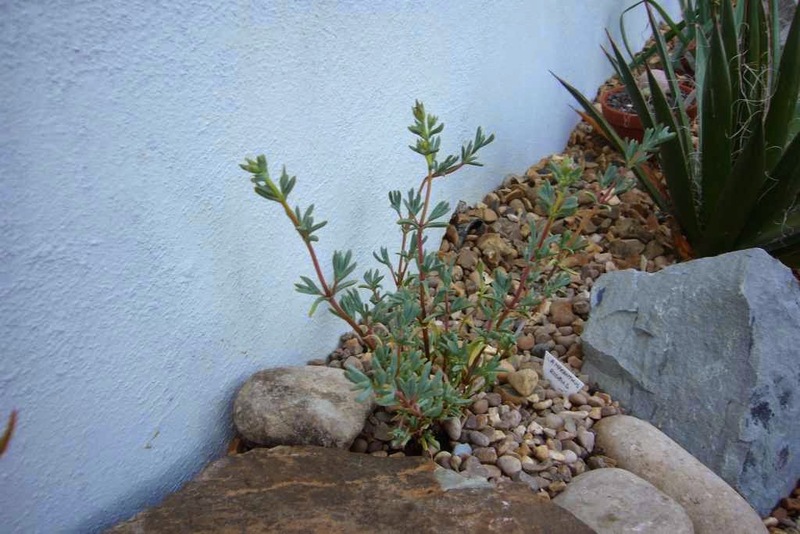 Surely this lampranthus roseus would look better cut back to force it to grow into a more bushy plant. But then I would loose the flowers, and it will settle better is left for this summer. Maybe next spring. 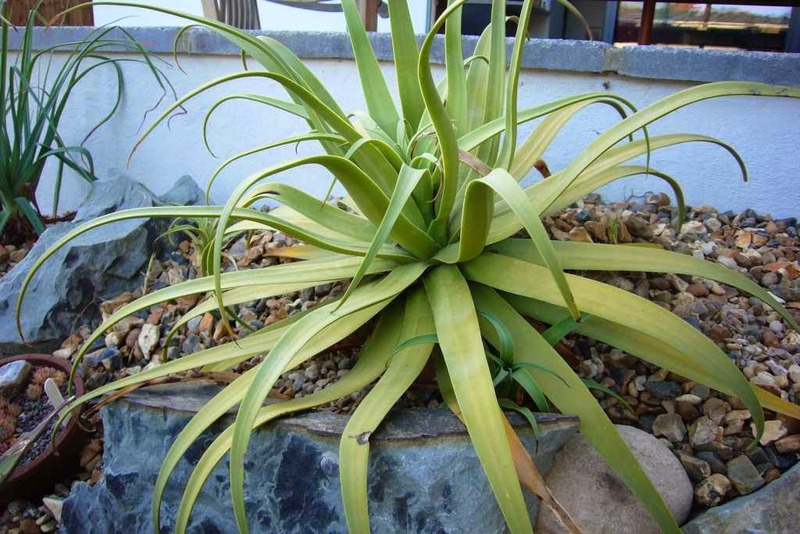 What about the aloe striatulas. All growing with one tall stem, dead leaves from bad winters making them look scraggly. One cut and the top can be replanted and offsets will form from the base. But if I cut them, both the base and the top would struggle to settle before winter. Leaving them may mean I get flowers come spring, and can cut a stronger larger plant. What about dividing plants that have offset. 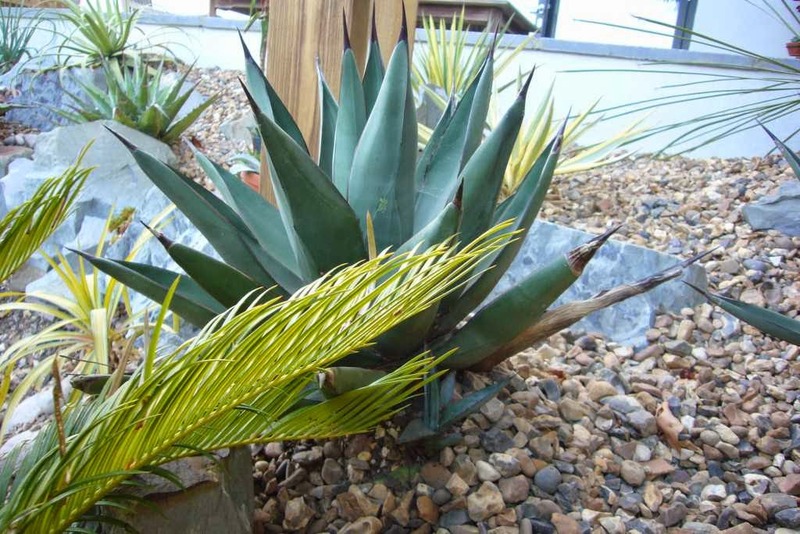 The agave x nigras both have multiple offsets, it must be time to remove them. No let it stay with mum until next spring. 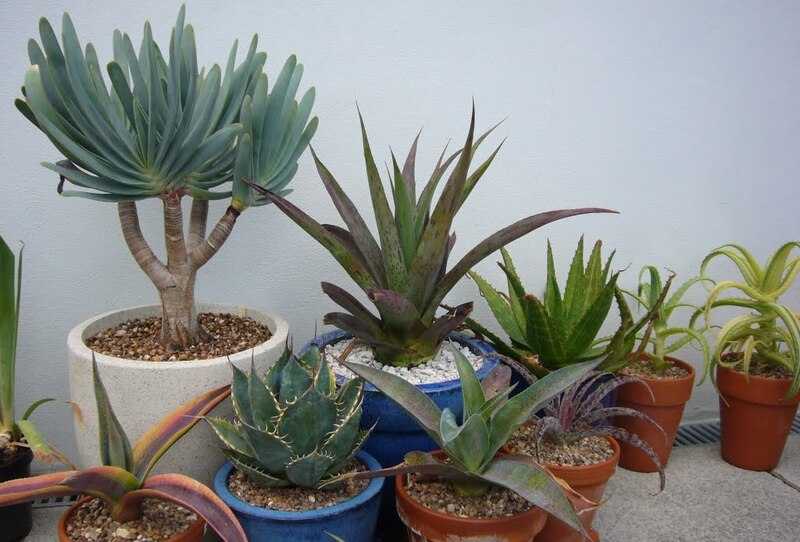 What about the ones on the agave bracteosa. Actually I know someone who would like this offset, it could be removed without problems, but for once I will wait. Speaking of offsets, maybe some of the clumps could be split. 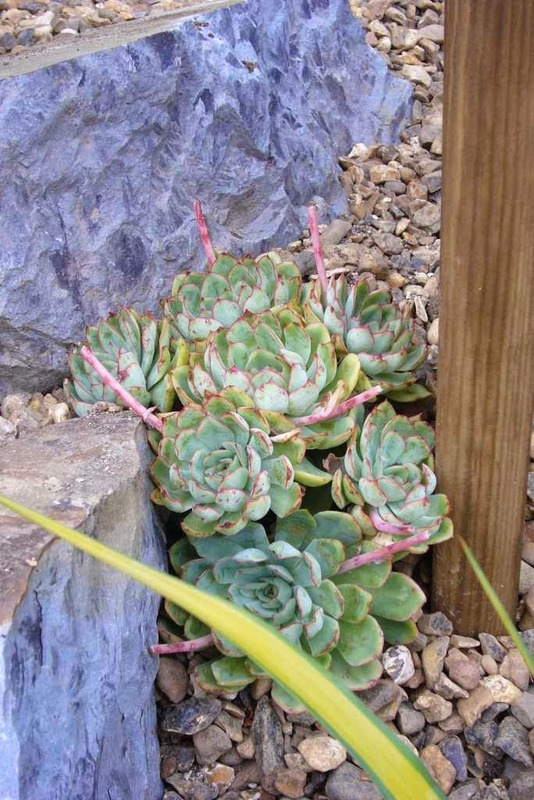 This group of echeveria pulidonis could be split and spread out. It looks very happy there though, fitting perfectly between the rocks and wood struts. It grew much quicker when left to get on with it anyway, so leave it. 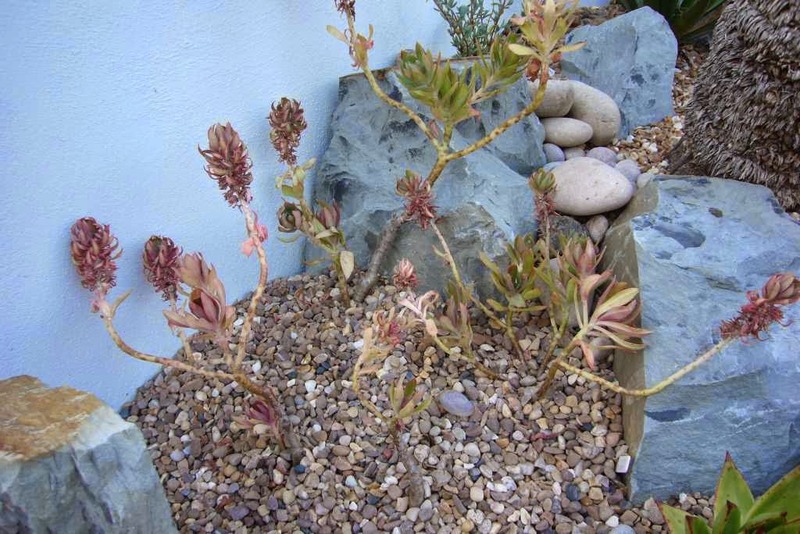 What about the echeveria roseas. So leggy now, not the lush plant they should be. This really needs cutting back to bring them back to nice bushy plants. Actually I look at this and think it is the wrong plant for that spot. I am constantly going to have to maintain it, maybe an agave would fit there better. I may finally be learning from the past: let the plants get on with it, they don't need constant manicuring. Yes! Finally someone writes about online game review. I definitely normally fall into the early category. You are right it never does the pups good and they take ages to settle, your late method (planned or not) is much better. 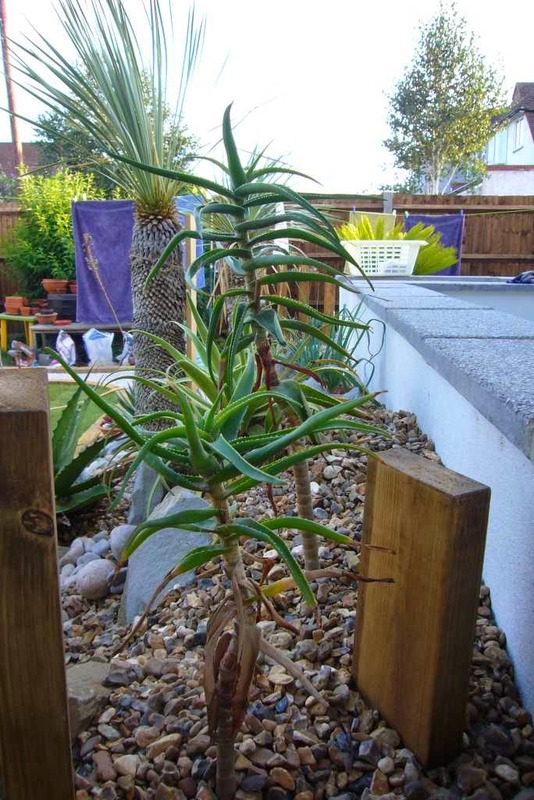 I don't know what your climate is like, but when I lived in Southampton (zone 9a) I found that Aloe striatula cuttings rooted and grew even during the winter, and by spring the stump was producing shoots. Here in Cornwall it's really too vigorous -- clumps 4 feet high and 8 feet across, and seeds by the thousand this year. They do root easily don't they. It tends to be the flowering that gets upset by cutting here. It would be nice to get flowers next spring, and it will gives them more time to get established if I leave them this year.